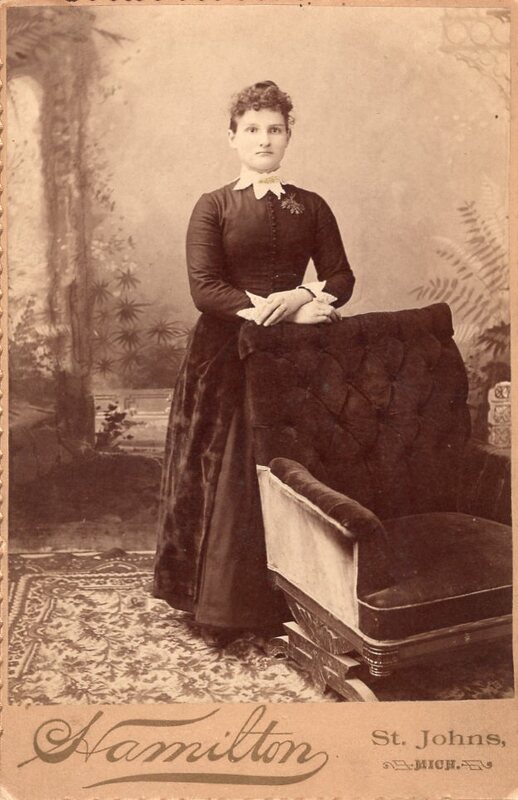 Comments: Lenora Robison (Nee: Fowler) | MI | 1851-1900 | Comments: This may be a photo of Lenora or it may be someone from her family. Purchased at an antique store in Independence, MO. In with photo of George Bohner.